A special room rate has been negotiated of $164/single; $174/double for Concourse Premier rooms and $194/single and $204/double for Governor’s Club Level rooms. You can book at https://reservations.travelclick.com/6388?groupID=2102972 or call the hotel directly at 1-800-356-8293 to make a reservation and request the University Export Controls Professionals Conference. 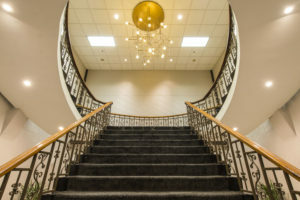 The Concourse Hotel is within blocks of the state capitol as well as State Street, the main street leading to the University of Wisconsin-Madison where you can find plenty of shops, restaurants, cafes and people-watching.